Heart and kidney work in tandem and share a close functional relationship during health and disease.Progressive cardiac failure causes kidney function to deteriorate,what we call it as cardio -renal syndrome.Similarly, progressive renal disease inflicts either a reversible /irreversible LV dysfunction .The mechanism of LV dysfunction has not been fully decoded. It is primarily biochemical mediated but at later stages it can be irreversible and structural damage can occur. 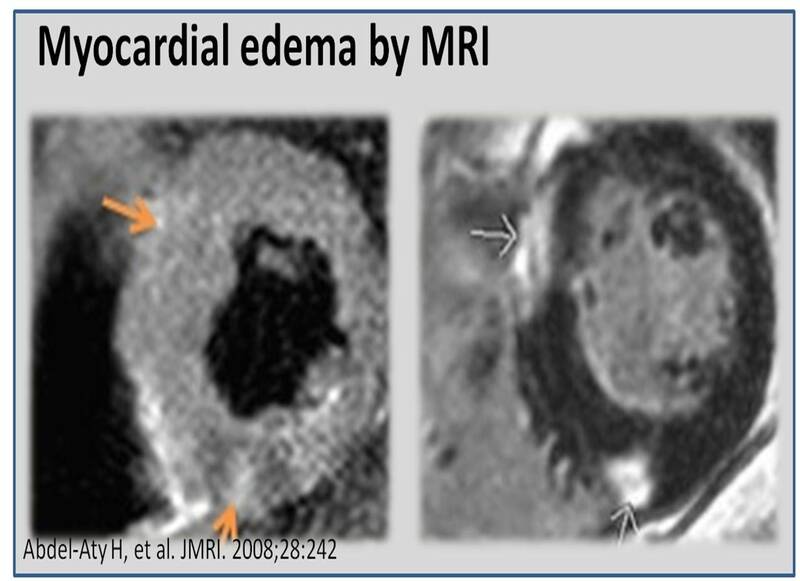 We believe uremic micro molecules leaking from plasma into cardiac Interstitium (Myocardial proteinuria ?) are somehow responsible for the progressive LV dysfunction. 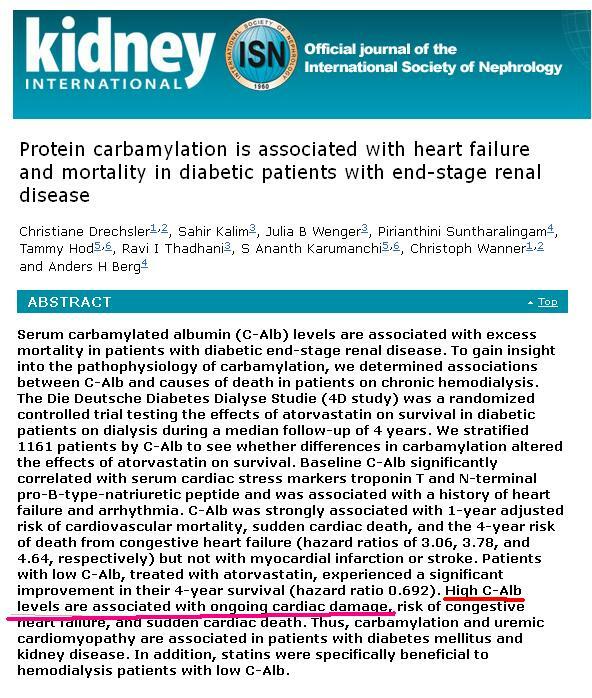 Now , we have new evidence for albumin – carbon interaction possibly at myocardial level due to formation of carbamino albumin (C-alb) . This paper from Kidney International (2015) 87, 1201–1208; highlights this new finding . Elevated C-albumin is a new marker for this unique , still not fully understood entity “Uremic cardiomyopathy”. 2.In diabetic nephropathy . . . Is there a proteinuria equivalent in heart ?